For the kids: A lot of kids love seeing me joggle around the neighborhood, so the fact that I am a source of entertainment and inspiration for a lot of children also helps me stay focused on my fitness routine. Who knows, maybe one of them will take up joggling some day and set some new world records! I think we should all try to make our fitness routine as fun as possible, and set a good example to inspire others. Doing competitions or fitness events, joining a running club, or running for charity are other good ways to keep you motivated. You don’t have to be a joggler to do these things, but it will certainly bring you more attention. If you can find a way to entertain children while running or exercising, that’s yet another reason to exercise, and you will even forget you are exercising. We often hear that among its myriad benefits, exercise is good for the brain. Running is considered particularly good for maintaining brain health. But in the short-term, how does marathon running effect the memory of runners immediately after the marathon? We tested the idea that real-world situations, such as the highly strenuous exercise involved in marathon running, that impose extreme physical demands on an individual may result in neurohormonal changes that alter the functioning of memory. Marathon runners were given implicit and explicit memory tasks before or immediately after they completed a marathon. Runners tested immediately upon completing the marathon showed impairment in the explicit memory task but enhancement in the implicit memory task. This postmarathon impairment in explicit memory is similar to that seen with amnesic patients with organic brain damage. However, no previous studies have shown a simultaneous enhancement in the implicit memory task, as shown by the marathon runners in the present study. This study indicates that human memory functioning can be dynamically altered by such activities as marathon running, in which hundreds of thousands of healthy normal individuals routinely partake. If you are wondering what implict memory and explicit memory are, read this: Implicit and Explicit Memory. In a way, the results of this study are really not all that surprising, but it is still interesting to investigate exactly what happens to runners just after they cross the finish line. 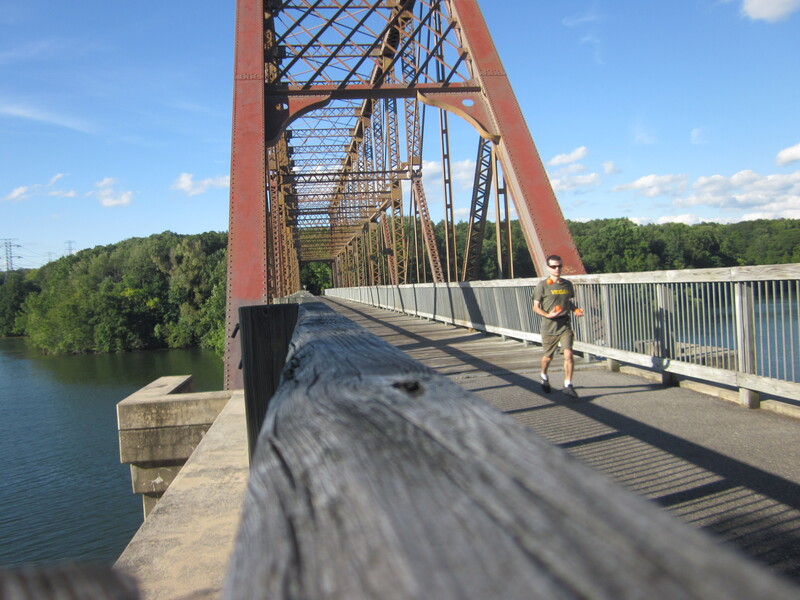 I remember during the last few miles of a 25 mile run being on the verge of delirium. Running a marathon is exhausting physically and mentally, so it should come as no surprise that the brains of people who just crossed the finish line are not as sharp as before the marathon, at least when it comes to memory. This doesn’t mean running marathons is bad for the brain though, since this is almost certainly a short-term effect, probably due to low blood sugar levels. It is the long-term effects of exercise that are important, not just the short-term. I aim to run a minimum of 30 miles per week. I tend to run 4 to 5 days in a row, and then take a rest day which means I will just walk a little and do a lot of juggling as cross training. I alternate between long run days and short run days usually, to help rest my legs. I tend to do this workout after runs(later in the day, not immediately after) since I want my body to build endurance for long runs rather than emphasize upper body muscle growth. Doing this before would emphasize muscle growth and may compromise my endurance level. I do an abbreviated version of this workout a few days after this which consists of just push-ups and heavy ball juggling. This workout allows me to juggle for hours on end. Here is some of my equipment – Iron Juggling. My lower body/legs strength training regimen is even more important. I do this 2 to 3 times a week(rarely on the same day as upper body strength training). I tend to do this before I go out for a run(and refueling first if doing the run right after), and only on days when I do short runs. This helps build muscle for endurance runs, and to help rebuild muscle the days after very long runs. 3 sets of this type of standing hip exercise using resistance bands(very important for hills). I do about 10 to 15 usually. On some days I will run on mostly hilly terrain during my long runs to train for the notoriously hilly Yonkers Marathon. Some good research indicates that the body can either build cardio endurance or strength for the day, but not both. They are in conflict, but not as bad as some people may think it is. So endurance runners should strength train their upper body after runs, not before. It’s fine to do leg strength training first though to build leg muscle, at least that is how my body works. I do no stretching, except for the occasional back stretch on an exercise ball. I’ve seen no convincing studies indicating that stretching is beneficial. If you have any questions or suggestions, I would love to hear from you. Does climbing to extremely high altitudes lead to brain damage? Mount Everest. Photo by Rupert Taylor-Price from Flickr. I admire mountain climbers, especially those who look up at the highest peaks in the world and say: “I am going there”. I admire crazy people who can push themselves to the limits of human potential, making history, and inspiring others to push themselves to their limits. That said, doing extraordinary things very often comes with extraordinary risks. Besides the risk of falling, the higher up you go, the thinner the atmosphere and the less oxygen there is. 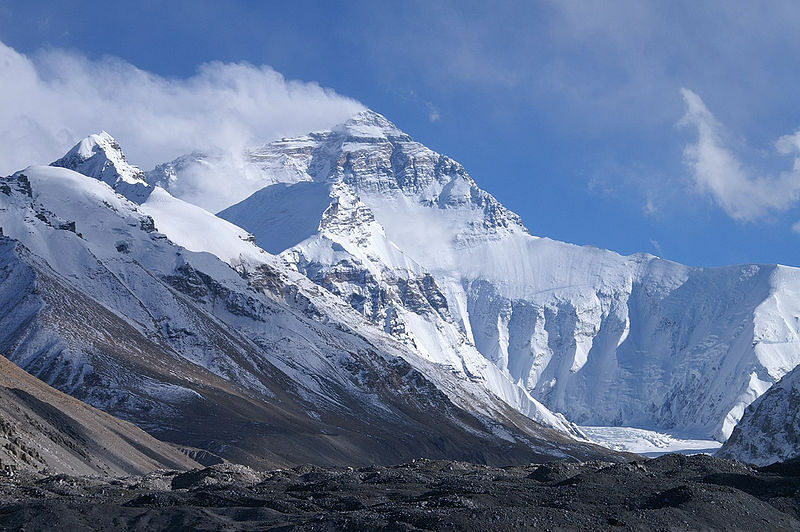 Just about everyone who climbs to the top of Mount Everest and other very high peaks suffers from hypoxia or low oxygen conditions, unless they bring an oxygen tank with them. Lack of oxygen can lead to dizziness, drowsiness, lightheadedness, and headache among other things that can severely compromise even an experienced climbers abilities. Only 1 in 13 of the Everest climbers had a normal MRI; the amateur showed frontal subcortical lesions, and the remainder had cortical atrophy and enlargement of Virchow-Robin spaces but no lesions. Among the remaining amateurs, 13 showed symptoms of high-altitude illness, 5 had subcortical irreversible lesions, and 10 had innumerable widened Virchow-Robin spaces. Conversely, we did not see any lesion in the control group. We found no significant differences in the metabolite ratios between climbers and controls. We conclude that there is enough evidence of brain damage after high altitude climbing; the amateur climbers seem to be at higher risk of suffering brain damage than professional climbers. I’ve never seriously entertained the idea of climbing Everest(29,029 ft or 8,848 m, or), but if I ever do I will keep this in mind, and will definitely bring an oxygen tank if I decide to do it(no I won’t joggle to the top). It looks like the brain damage may be permanent. Everest’s 29,029 ft may seem like an incredible, very intimidating height to most of us, but this is because of our every day experiences of heights and distances. From another perspective, 29,029 ft is only about 0.14% of the distance from seal level to the center of the Earth. Maybe I could joggle to the top after all? Do ice or cold water baths speed recovery? Like a lot of runners, after long runs I love to take cold showers or take an ice bath. It feels so soothing, I have long thought it must be doing something to help my legs recover from very long runs. But what does the science have to say about this? The protocol of ice-water immersion used in this study was ineffectual in minimising markers of DOMS(delated onset muscle soreness) in untrained individuals. This study challenges the wide use of this intervention as a recovery strategy by athletes. I will still take cold shower and use ice after long runs, even if the science doesn’t indicate it promotes recovery. It still feels good and it does help lower my body temperature a bit. Note that this study did not look into using ice to help treat acute injuries, which is completely different. Continue to use ice for certain injuries when indicated. Red Bull is a popular energy drink that many athletes and even some non-athletes use as a quick pick-me-up. I never use it myself, but I have little doubt that it works since it has a lot of caffeine, as well as sugar. Besides this it also has B vitamins, and taurine. The effect of the caffeine in Red Bull is nothing to be skeptical about, but I have been skeptical about the effects of taurine, an organic acid: Is Red Bull’s taurine content also responsible for the stimulating effect it provides? Limited research examining the effect of taurine (TA) ingestion on human exercise performance exists. The aim of this study was to investigate the effect of acute ingestion of 1,000 mg of TA on maximal 3-km time trial (3KTT) performance in trained middle-distance runners (MDR). Eight male MDR (mean ± SD: age 19.9 ± 1.2 years, body mass 69.4 ± 6.6 kg, height 180.5 ± 7.5 cm, 800 m personal best time 121.0 ± 5.3 s) completed TA and placebo (PL) trials 1 week apart in a double-blind, randomised, crossover designed study. Participants consumed TA or PL in capsule form on arrival at the laboratory followed by a 2-h ingestion period. At the end of the ingestion period, participants commenced a maximal simulated 3KTT on a treadmill. Capillary blood lactate was measured pre- and post-3KTT. Expired gas, heart rate (HR), ratings of perceived exertion (RPE), and split times were measured at 500-m intervals during the 3KTT. Ingestion of TA significantly improved 3KTT performance (TA 646.6 ± 52.8 s and PL 658.5 ± 58.2 s) (p = 0.013) equating to a 1.7 % improvement (range 0.34-4.24 %). Relative oxygen uptake, HR, RPE and blood lactate did not differ between conditions (p = 0.803, 0.364, 0.760 and 0.302, respectively). Magnitude-based inference results assessing the likeliness of a beneficial influence of TA were 99.3 %. However, the mechanism responsible for this improved performance is unclear. TA’s potential influence on exercise metabolism may involve interaction with the muscle membrane, the coordination or the force production capability of involved muscles. Further research employing more invasive techniques may elucidate TA’s role in improving maximal endurance performance. This is all so preliminary, but can a “1.7 % improvement” really be called significant? I’m no expert on this subject or when it comes to statistics, but this doesn’t seem big enough to me to justify its use. We need to see what similar studies say on this matter. This study examined whether acute taurine (T) ingestion before prolonged cycling would improve time-trial (TT) performance and alter whole-body fuel utilization compared with a control (CON) trial and a placebo (PL) trial in which participants were told they received taurine but did not. Eleven endurance-trained male cyclists (27.2 ± 1.5 yr, 74.3 ± 2.3 kg, 59.9 ± 2.3 ml · kg⁻¹ · min⁻¹; M ± SEM) completed 3 trials in a randomized, crossover, blinded design in which they consumed a noncaloric sweetened beverage with either 1.66 g of T or nothing added (CON, PL) 1 hr before exercise. Participants then cycled at 66.5% ± 1.9% VO(2max) for 90 min followed immediately by a TT (doing 5 kJ of work/kg body mass as fast as possible). Data on fluid administration, expired gas, heart rate, and ratings of perceived exertion were collected at 15-min intervals during the 90-min cycling ride, but there were no differences recorded between trials. There was no difference in TT performance between any of the 3 trials (1,500 ± 87 s). Average carbohydrate (T 2.73 ± 0.21, CON 2.88 ± 0.19, PL 2.89 ± 0.20 g/min) and fat (T 0.45 ± 0.05, CON 0.39 ± 0.04, PL 0.39 ± 0.05 g/min) oxidation rates were unaffected by T supplementation. T ingestion resulted in a 16% increase (5 g, ~84 kJ; p < .05) in total fat oxidation over the 90-min exercise period compared with CON and PL. The acute ingestion of 1.66 g of T before exercise did not enhance TT performance but did result in a small but significant increase in fat oxidation during submaximal cycling in endurance-trained cyclists. Taurine supplementation did not improve performance but did improve fat oxidation by a small amount. I realize the first study was done on runners and the second study on cyclists, but the exercises are both cardio and similar enough for comparison purposes. So it looks like it is the caffeine and sugars that are exclusively responsible for Red Bull’s effects. The jury is still out on the taurine(B vitamins are also in Red Bull, but that is beyond the scope of this post). Running versus weight-lifting: Which is better for improving mood? Many runners experience the phenomenon called “runner’s high”, which is caused by a surge of endorphins in the brain, the body’s “feel good” chemicals. Some weight-lifters may experience something similar, but is it as strong as runner’s high? Does it improve mood to the same degree as running? The purpose of this study was to compare the moods and mood variations of runners to those of aerobic dancers, weight-lifters, and nonexercising controls. The subjects, 70 undergraduates, were participants in a jogging and conditioning, a weight training, an aerobic dance, or an introductory psychology class. A time-series design was used in which all participants completed eight Profile of Mood State questionnaires over a 6-hr. period that centered on the time of the class. Four questionnaires were completed during the second week of classes and the other four about midsemester, approximately 6 wk. later. Runners had a significantly more positive mood profile than nonexercisers and a somewhat more positive one than weight-lifters, but those of runners and aerobic dancers were similar. Changes in moods across time in relation to activity and across semester suggest that exercise, particularly aerobic exercise, helps the regular participant not only to cope with stress but also to have a generally more positive feeling of well-being. Interestingly, the aerobic dancers were similar to runners in terms of mood. I gotta admit that I usually find strength-training dull compared to running, and so this study didn’t surprise me. The results of this study imply cardio in general is probably better at improving mood than strength-training. My own experience confirms this.